Flamboyant costumes, luxury cars and ‘Mr. 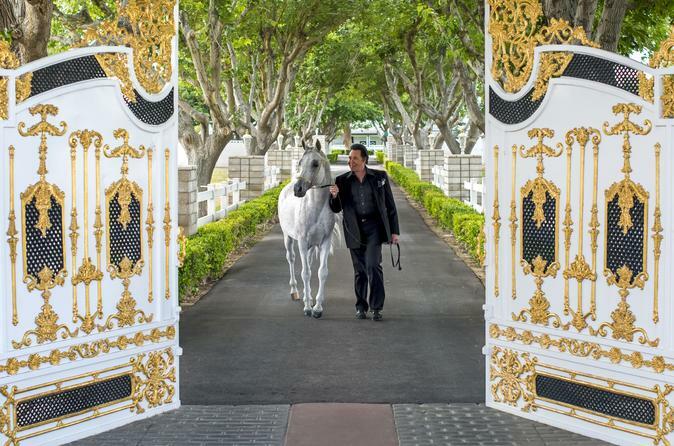 Las Vegas’ memorabilia are just a few of the things you’ll see on a tour of Wayne Newton’s Casa de Shenandoah, a legendary 52-acre (21-hectare) estate. Take a tour through the museum or upgrade to one of three guided options showing you his mansion, Arabian horse stables, exotic pets and more. It's a great escape from the Las Vegas Strip! For five decades the legendary singer Wayne Newton — aka Mr Las Vegas, Mr Entertainment and The Midnight Idol — was one of Vegas’ most well-known entertainers. Now you can tour the lavish grounds and opulent mansion of his walled estate, opened to the public in 2015. Wayne Newton Visitor Center which is located approximately 4-miles from the Las Vegas Strip. Pickup is available from Treasure Island Hotel and Casino or the Tropicana Las Vegas if guided tours are selected. Pickup will be arranged upon confirmation with the local operator. Details will be provided on your pre-paid voucher. Hours are subject to change without notice, it is advised that you confirm hours of operation prior to selected date of travel.